There is an art in the subtle treatment of these marginal landscapes which may appear rough and untidy but, because of their decades of disuse have been ecologically very rich. It was for this reason that the RSPB acquired the site soon after 2000, and it is becoming something of a showcase for this kind of natural conservation. Peter once worked with Peter Latz, whose Landschaftspark Duisburg-Nord is seminal in the field of post-industrial landscape restoration and management. Pathways and bridges, whether literally or symbolically, are principal unifying elements. These Thames-side marshes are criss-crossed beneath the surface with bronze-age trackways, woven out of reeds and saplings. 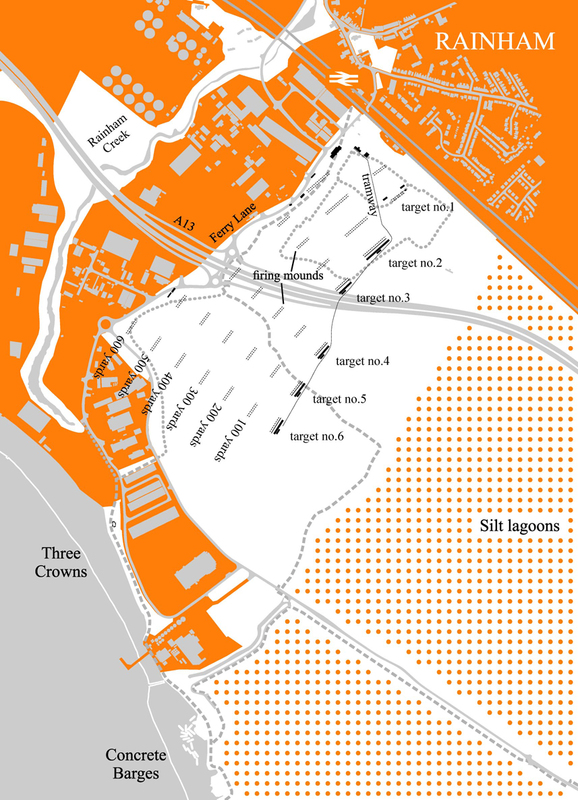 Peter says he read that there could be around 11,000 miles of Bronze and Iron Age trackways and roads underneath a 25 square mile area of former marshland, and his new network of paths symbolically floats over this ancient set of thoroughfares, as well as more recent military tramways. Every time we visit there seems to be a heatwave. As it is fairly exposed out there on the marshes, visitors are advised to come prepared. At the furthest end from Rainham station, close to the seawall itself, is the RSPB visitor centre, designed by Van Heyningen and Haward, and which opened in 2006, where you can get something to eat and drink and look out across the river. 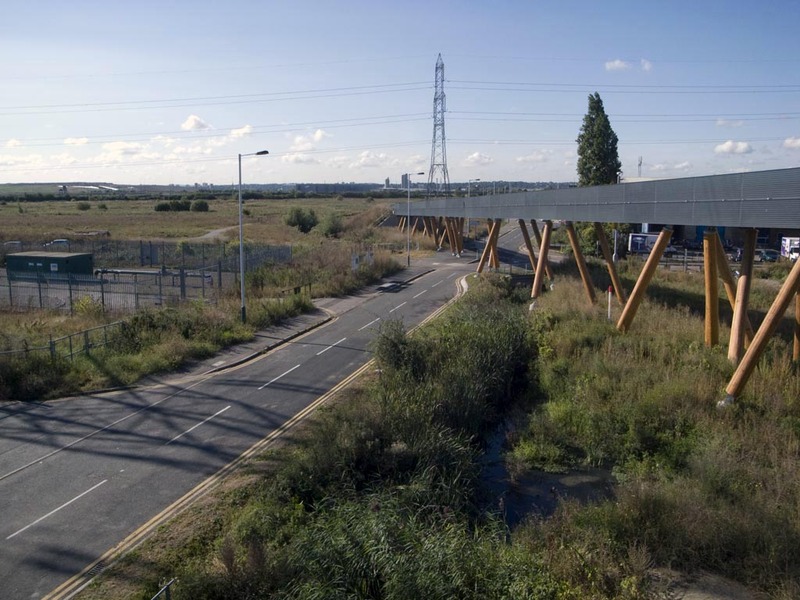 Rainham station is just within Oyster-card or Freedom Pass range, so it is a cheap day out, and well worth taking a train from Fenchurch Street. 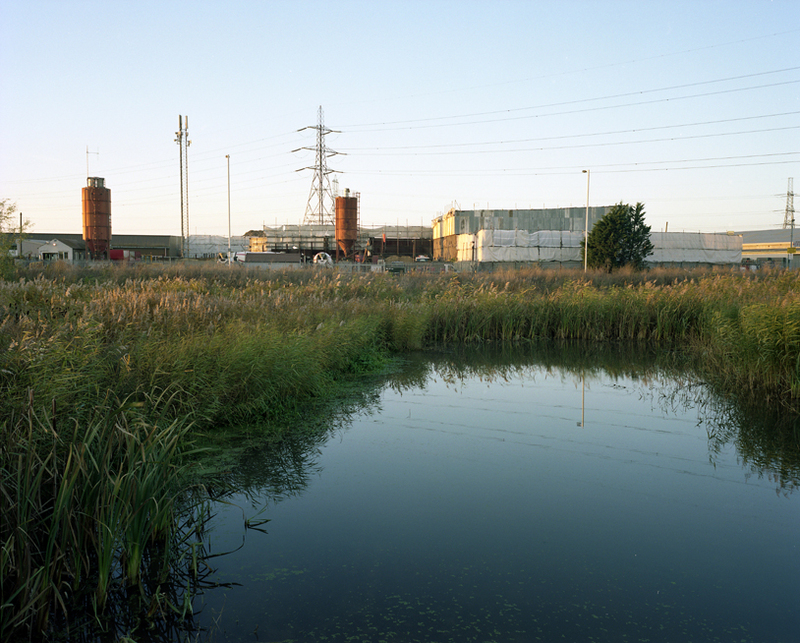 There is a respect for the landscape here that elsewhere along the Thames and in the Lea Valley is being trashed in the name of regeneration. From time to time academics debate the geographical area required to talk meaningfully about a distinctive landscape type: parish, county, region? All seem to make sense at some time or another as a catch-all envelope for topographical distinctiveness. 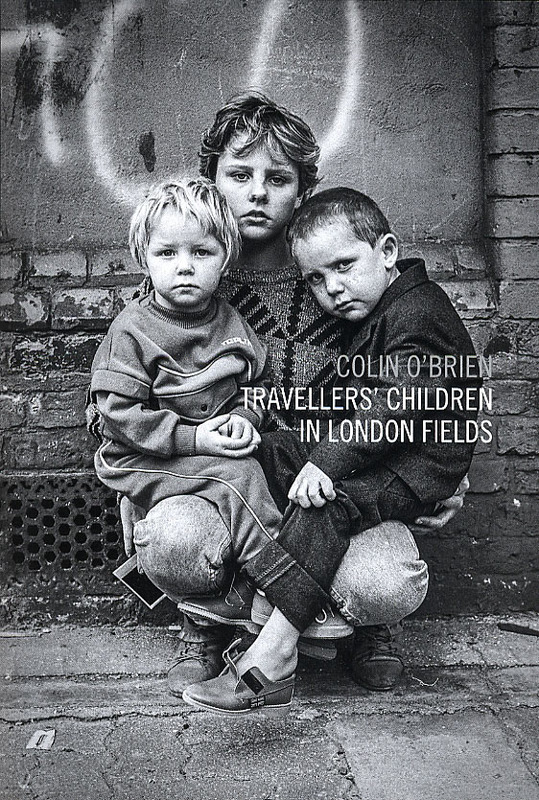 Sometimes, though, a landscape can be as commanding as a mere twenty yards of pavement adjacent to a bricked up flank wall, as it is in Colin O’Brien’s evocative collection of photographs of Travellers’ Children in London Fields just published. O’Brien took these black and white photographs in 1987, after coming across a temporary travellers’ encampment close to the railway arches next to London Fields in Hackney. Most importantly, he took them after asking permission from the parents and children, and these vibrant portraits are now published for the first time in one collection. It was noteworthy that some of those portrayed so many years ago came to the book launch, a celebratory affair which took place less than 100 yards from where the photographs were originally taken. Some will argue that this is ‘street photography’, a genre that has very little to do with landscape. Can we be so sure? A lot of street photography historically has been voyeuristic (taken surreptitiously too), using a grim urban background to add depth to what is essentially an anthropological gaze. There are exceptions, for example in the work of documentary photographers like Helen Levitt in New York and Roger Mayne in Notting Hill, whose respect and admiration for the children they photographed shone through. Respect and affection for his subjects shine through O’Brien’s photographs. There is every reason to regard these portraits as ‘figures in a landscape’. The run-down setting of Hackney’s former industrial backstreets – halfway to ruin at the time the photographs were taken – represents the marginal places where travellers arrive, stay for a while and subsequently move, or are moved on. Significantly the book’s title Travellers’ Children in London Fields evokes the pastoral landscapes that once existed here, residual elements of which exist in the shape of the popular park which now takes that name. As such, the few yards of Martello Street which provide the backdrop to these portraits are imbued with genuine topographical elements – not stage scenery. This elegant book is the first publication from the admirable Spitalfields Life blog, already gaining an enviable reputation for heroic endeavours in the field of local history, and well in the forefront of the ‘history from below’ movement in its 21st century digital manifestation and reach.